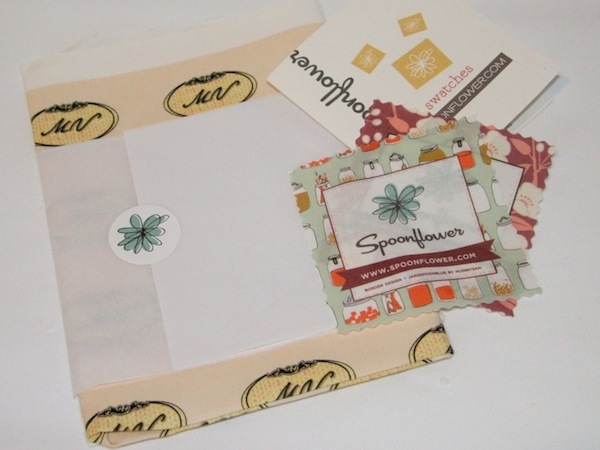 Have you heard about Spoonflower yet? Thru their website you choose your favorite of ten fabrics and you can upload your own artwork for your personal use, share your design with others to earn a portion of those designs’ future sales or choose one of the great designs created by others. Sorta CafePress-ish. 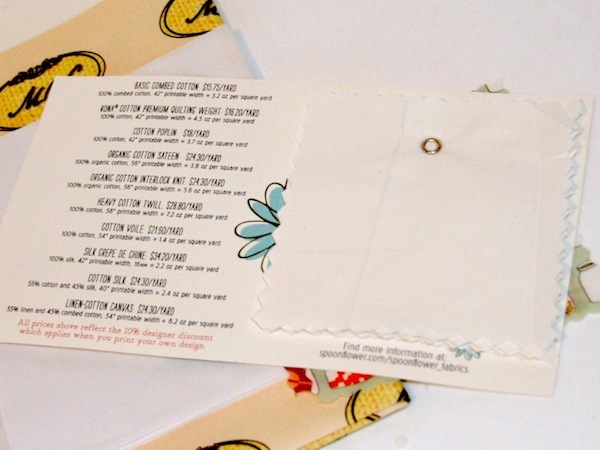 I have been wanting to try them out and noticed as part of the Etsy Craft Party 2012, Spoonflower was offering a free custom made fat quarter and thought that was the perfect opportunity! 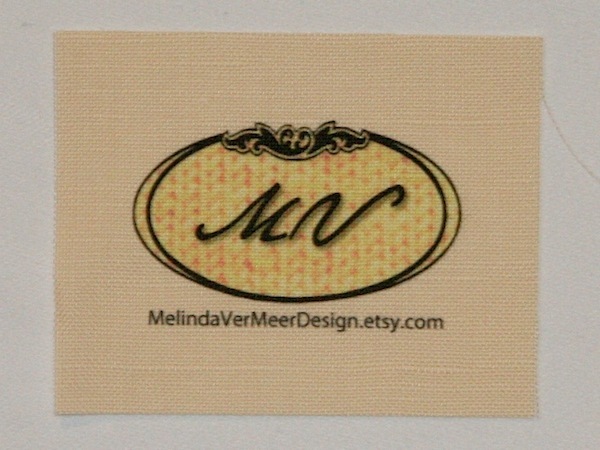 I created a graphic that I could use as a tag in the bags I’ve been selling on etsy and choose the linen-cotton canvas fabric. In a fat quarter, I can make enough tags to last a while! I also ordered their sample fabric swatch set to see what their other fabrics look/feel like for future reference. It all was presented nicely and arrived within a couple days (ordered on Sunday the 19th, shipped on Tuesday the 21st and arrived today Friday the 24th – maybe yesterday even).